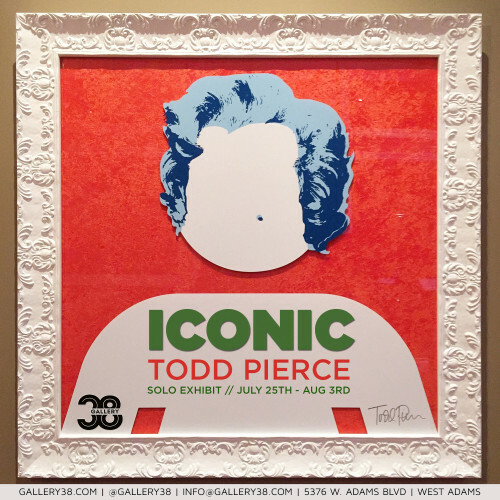 Events > 2015 > July > Todd Pierce - "ICONIC"
Todd Pierce founded PICTOFORM, a design firm, 30 years ago. Iconography is Pierce’s passion and he was previously named one of North America’s Top 50 designers by Graphic Design: USA. Pierce went on to spearhead the New York City subway signage program, signage for the 2010 Vancouver Winter Olympic Games, the branding of and signage programs for the Public Parking operations of the Cities of Seattle, Portland, Vancouver, BC and San Francisco. In 1996 Todd Pierce authored The International Pictograms Standard, a book about international symbols – from their historical beginnings to current worldwide use in helping to communicate simple as well as complex messages. Pictograms cross age and language barriers and reflect today’s global popular culture – in many ways similar to those Campbell Soup cans that Warhol painted in 1962 and how these paintings reflected “Americana” and the popular culture of the day.